Playing a shooting game like PUBG on your smartphone can be quite tiring if you have no game controllers installed. PUBG mobile controllers allow you to increase your performance and improve your gaming skills at the same time. You can rely on them to quickly aim and shoot your targets. To help you find the best one, discussed below are 10 PUBG game controllers. 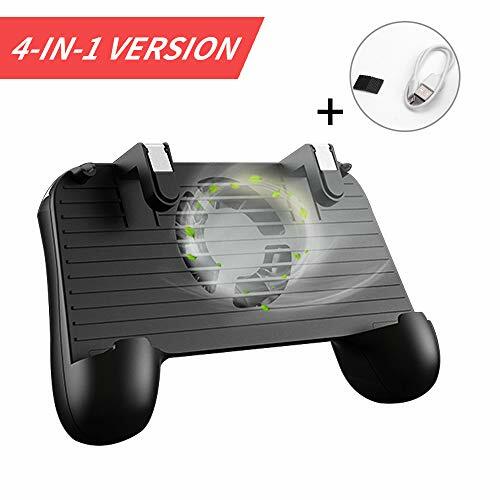 BAVST Mobile Game Controller features high-density alloy and conductive rubber buttons for a speedy and sensitive response. The device lets you play with four fingers and quickly aim and shoot your target. The PUBG game controller comes with a power bank to provide it extra power anytime and anywhere. The Quiet yet powerful fan guarantees high performance without overheating your cellphone. The supported smartphones include Samsung, iPhone, Lumia, Nokia, Huawei, and HTC. The device also works well 6.5-inch smartphones. 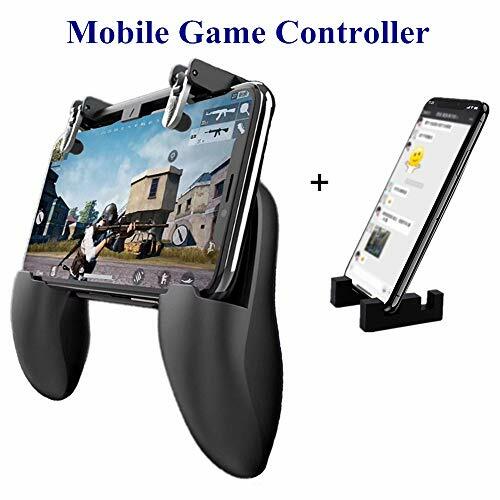 Mobile Game Controller is suitable for iOS/ Android games including PUBG, Critical Ops, Knives Out, Survivor Royale and Rules of Survival. You can also use it on your phone to play games that allow customizing and key dragging. The telescopic boom design makes it easier for the controller to fit in different sizes of touch-screen smartphones as long as they measure 6.5 inches in length. Mobile Kings Mobile Controller guarantees better gaming results with its triggers that average four shots per second. The gamepad features an ergonomic design and a soft joystick for smooth and discrete gaming. You can count on the instruction manual to get a blueprint on how to set up and optimize a game for success. 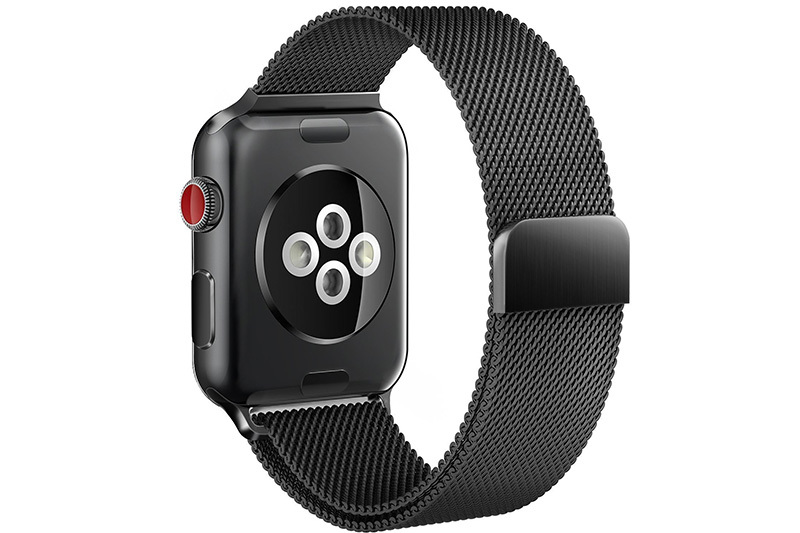 The Bonus Mobile Kings Wristband lets you maximize your grip and get an opportunity to win. 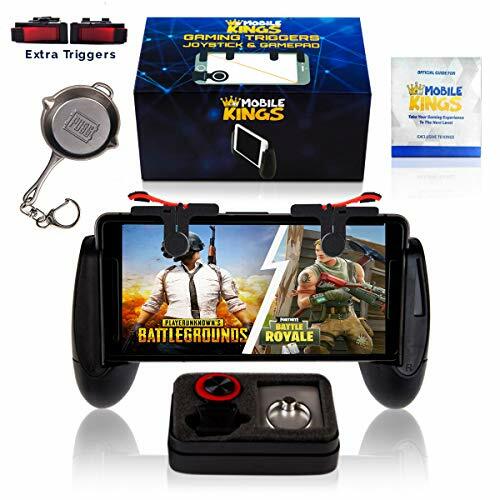 The Mobile Kings’ game controller supports shooting games such as PUBG, Rules of Survival, Survivor Royale, Critical Ops, Fortnite and Black Ops. You can use it on your Android phone or iPhone with a length varying from 4.5 inches to 6.5 inches. YICHUMY Mobile Game Controller is a gamepad with a 2 in 1 design. 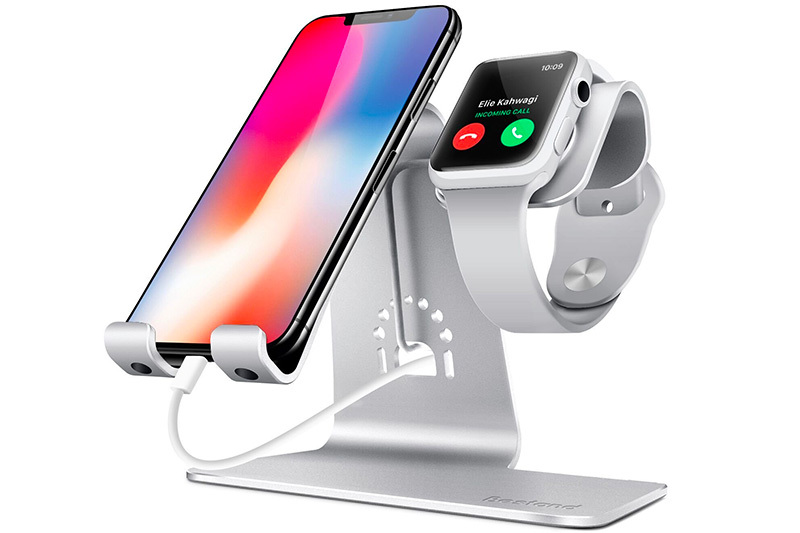 You can use it as a gaming controller or a game phone holder grip. 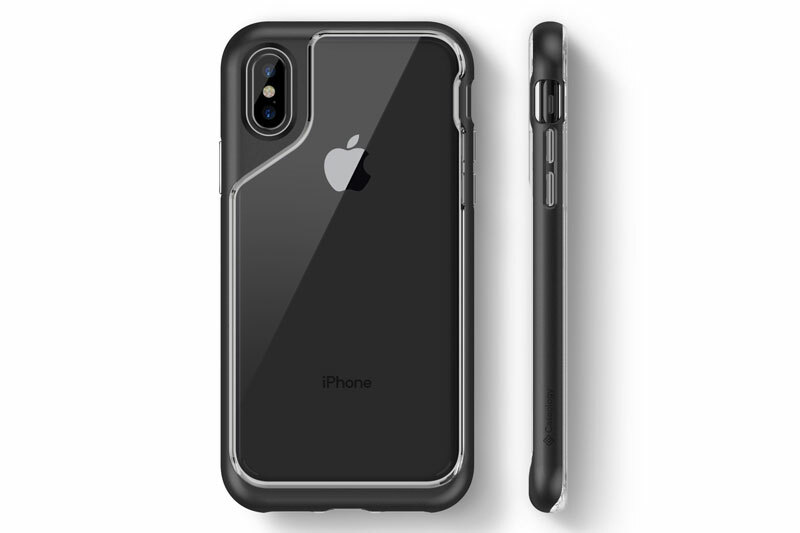 The gadget is compatible with games such as Survivor Royale, PUBG, Critical Ops, Knives Out, Fortnite and Rules of Survival. You can flip the fire and aim buttons to operate the screen smoothly. The gamepad guarantees better gaming experiences since it allows four fingers to work at the same time. PUBG Mobile Game Controller lets you connect your phone using Button-Style Highly Sensitive Triggers. The device is compact and tiny to fit into your pocket easily and allow you to play games anywhere with no limitations. 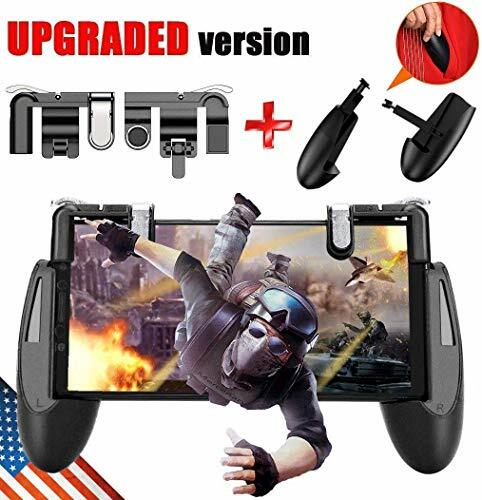 The controller is compatible IOS/ Android games including Critical Ops, Rules of Survival, PUBG, Knives Out and Survivor Royale. The fire button is easily accessible increase your in-game performance. 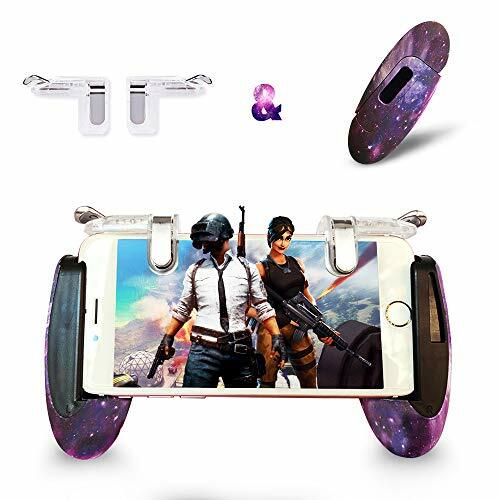 Vakili Fortnite PUBG Mobile Controller can simulate the game controller experience and take your gaming skills to the next level. 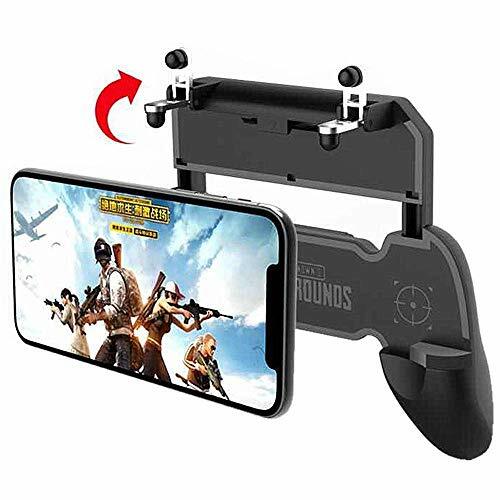 The device enables you to aim accurately and shoot at the same time when playing PUBG, Fortnite, Knives Out, Rules of Survival, Survivor Royale or Critical Ops. The gamepad also allows you to shoot with your index finger as your thumb moves, without delay. You won’t need any drivers or power supply to use it. 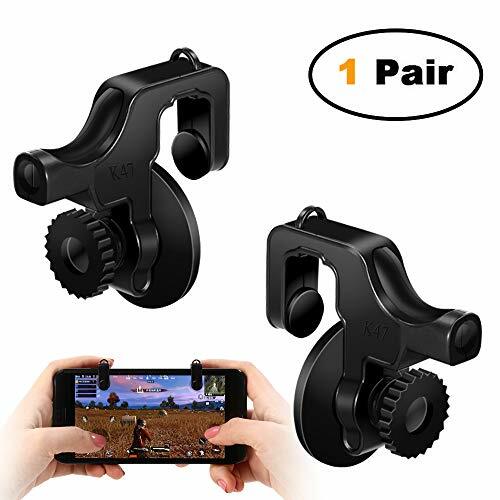 AnoKe Game Trigger is ideal for playing PUBG with four fingers. You can use it to shoot your target while moving and improve your gaming skills. With the LR buttons and grip, you can enhance the gaming experience and reduce the chances of experiencing finger numbness. 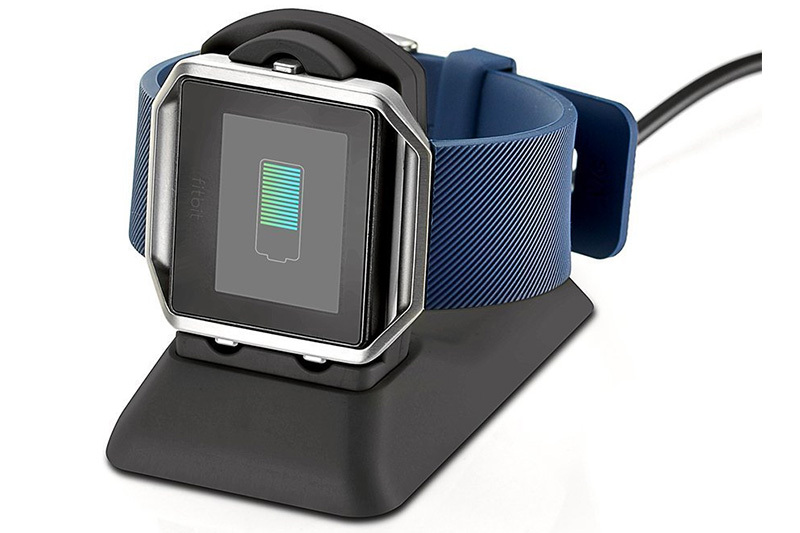 The compact design allows you to play with the gadget anytime and anywhere. Besides PUBG, this mobile game trigger is compatible with Rules of Survival, Critical Ops, Knives Out and Survivor Royale. The AnoKe portable controller can also work with the bumper case on your smartphone. The L1R1 cellular triggers are highly sensitive for easier and faster aiming and shooting. 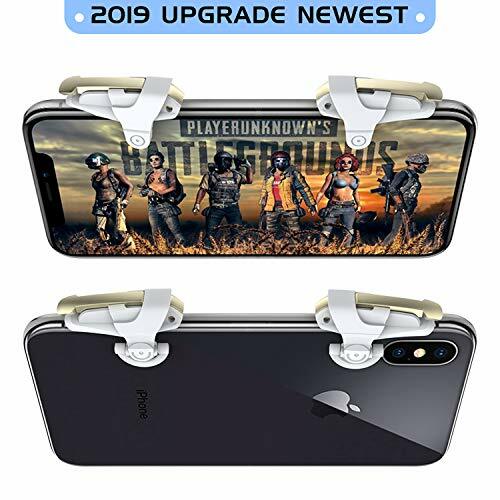 PUBG Fortnite Mobile Game combines Mobile Fire Key Triggers and Mobile Gaming Grip Case for the perfect gaming experience. Each button on the gamepad features high-quality materials. With L1R1 triggers, the device can take your gaming skills to the next level and help you simulate a game controller experience. The game controller allows you to move by turning to the left or right, aim, and shoot. The SEMSA mobile game holder also makes it comfortable for you to play games for a long time. 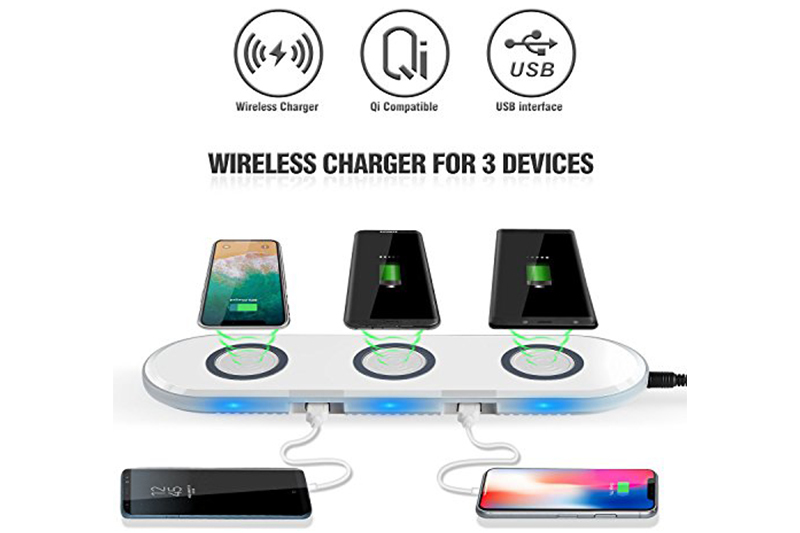 You can use the device to play PUBG or Fortnite on Android and IOS smartphones. Mobile Game Controller comes with an upgraded joystick that lets you play a mobile game with six fingers. The gadget also features sensitive Joypad Triggers that help you perform and improve your gaming skills at the same time. The transparent design prevents screen blocking and allows you to adjust the triggers with a clip. The gamepad features a camouflage game handle for comfortable grips. You can use it when playing Fortnite, PUBG, Knives Out, CrossFire, Rules of Survival and Terminator 2 Judgment Day. When purchased, the product comes with one pair of mobile game controller triggers and one pack of star game handle. 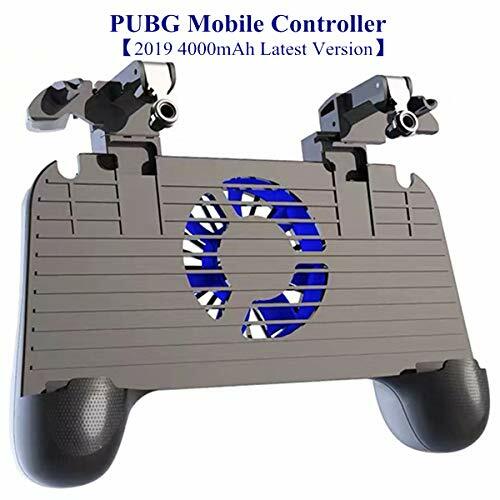 With this PUBG Mobile Controller, you can simultaneously move, turn, aim and shoot as you use your index fingers to press the buttons. The Button Style Trigger can easily connect to your mobile phone. You don’t need any power supply or driver to operate this gadget. The supported Android/iOS games include Critical Ops, PUBG, Fortnite, Battle Royale, Knives Out, Rules of Survival and Survivor Royale. 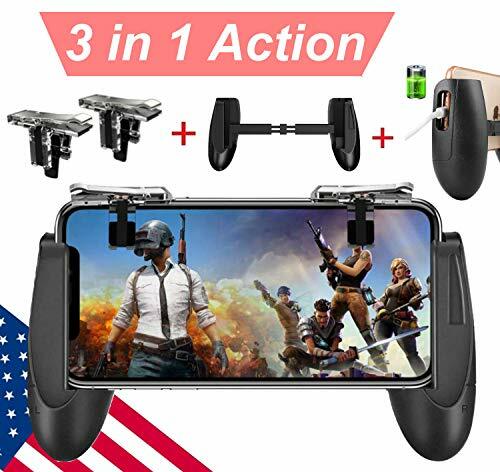 Consider getting a PUBG mobile controller with an ergonomic design to make your hands feel more comfortable when playing. 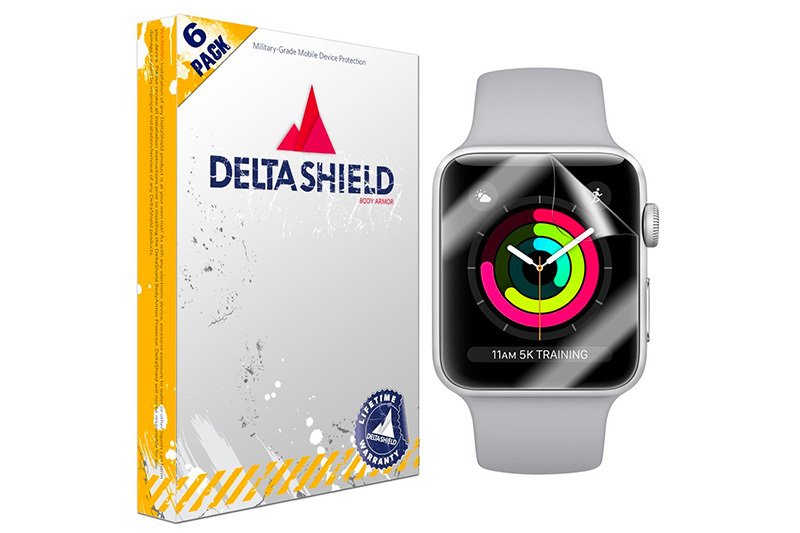 The device should also feature handles and buttons made of high-density materials for a sensitive and speedy response. Choose one that’s compatible with both Android and iOS devices and can let you play with four fingers at the same time.